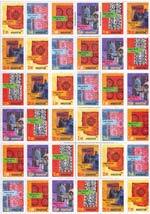 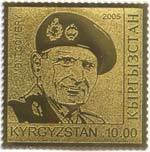 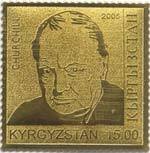 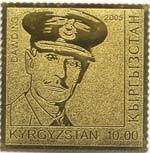 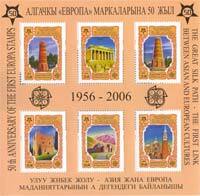 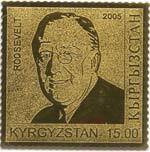 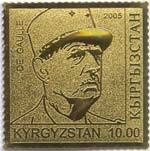 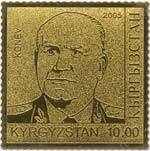 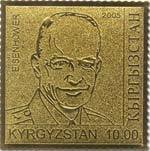 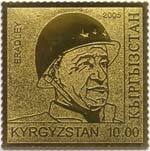 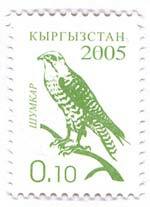 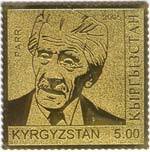 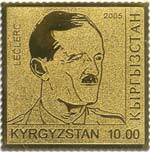 ..::Postage stamps of the Kyrgyz Republic 2005 ::.. 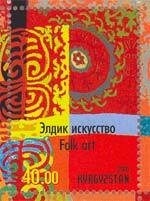 Combination of 6 stamps – embroidery on a bag from strip, shyrdak, bag from home-spun fabrics with embroidery,shyrdak, saddle and products from the camel’s skin. 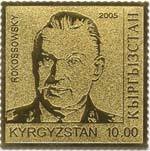 18.06.05. 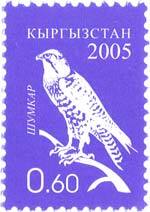 Series of 20 stamps. 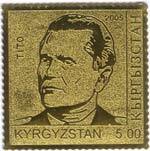 Stamping and felling are on gold colored metal. 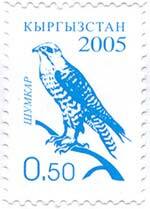 Edges of stamps are with perforation. 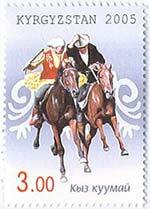 On the backside – sheet with glue.